Looking for a fun, cheap way to host the greatest Super Bowl party of all-time?! Well then print out our Super Bowl Bingo game boards for your guests! Wow, that Audi commercial - $750/month lease...really?! Thanks Stella, I needed a reminder to grab another beer before Maroon 5 takes the stage at halftime! 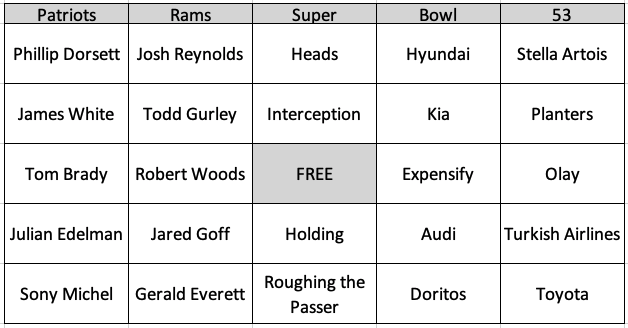 If you do indeed use these Super Bowl LIII Bingo Boards, please shout it out on twitter or facebook and share the link!